What would it look like if every one of us decided to make a difference and serve those near us who need us – all within a single week? It would look like Love Week, our annual outreach where we mobilize Journeyers to roll up their sleeves and show the love of Jesus to our community. Love Week is happening August 5-11, and this year, there are over 1,000 opportunities for Journeyers to serve with our community partners – from reaching out to those experiencing homelessness, to serving meals, to cleaning up local schools, to honoring local law enforcement, and so many more. 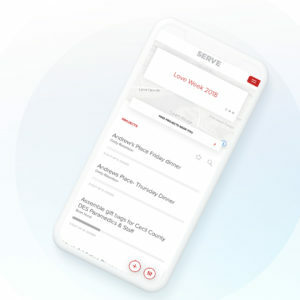 READY TO SIGN UP OR DOWNLOAD THE “SERVE DAY” APP? Be sure to visit the Connect Area on July 28 & 29 or August 4 & 5 to pick up your new Code Red T-shirt to wear when you serve. It doesn’t stop there… we want to hear your story! How were you impacted by Love Week? Share with us here.